We love modular homes!!! Enough that we run a pretty big website about them. But we have noticed a troubling trend. Some modular home manufacturers are taking advantage of the consumer interest in "green buying" and are using it to promote some non-green homes. Don't freak out most manufacturers are honest but you should be educated so you can avoid the snake oil sellers. Here are some common misleading green "sale pitches" used by some modular home manufacturers. Modular homes are normally not more energy efficient than stick built homes. Energy efficiency is mostly determined by how much insulation is placed in the house. Insulation is expensive so many modular home manufacturers (the same goes for local home builders as well) will use the least amount possible. Upon researching modular home manufacturing building specifications we discovered many manufacturers use less than site built who are more experienced with the local climate. Unless you specifically upgrade your insulation (which will increase the price) it is possible that your modular home will be less energy efficient than homes built by experienced site builders. Make sure to ask whoever builds your home to put it in writing how much insulation (measured in R-value) is going to be provided. This will make sure you are getting what you are paying for and also allow you to compare. This is true, sorta. Since many factories order precut lumber, re-use building jigs etc. there is less waste created during the building process. This does not mean that less building materials are needed. Since these modules are transported from the factory to the building site over highways (which means highway speeds) they require more building materials to increase their strength. This extra strength is needed to counteract the stress and prevent deterioration that can happen when you move a house on a highway. So the material saved by creating less waste is equalized by the extra material needed for transporting. Since construction is done off-site there is less damage done to the environment. This is sorta correct as well. Since the building crew spends most of the time in a factory there is less of the ordinary impact to a building site. You still need a foundation built for the modular home to sit on. You will still have bulldozers on the building site. When the modules are completed you will also have several flat bed trucks driving their diesel engines on the highway to reach your building site. Don't forget about the large crane that is needed to lift the modules into place. The environmental impact is less but there is still a significant footprint being made. Don't get us wrong. We think modular home construction is a great match for many home buyers. We just want potential home buyers to be well informed and understand both sides of modular construction. 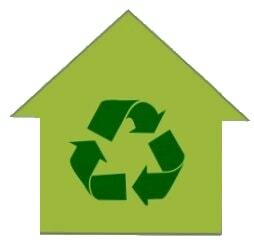 There are some modular home manufacturers that build great green homes that are LEED certified. But many manufacturers do not produce modular homes at that high level. Also don't forget that if you choose a local home builder to construct a stick built home the quality will vary widely also. If you want a green home to save money on energy costs and help the planet you need to make sure you get whoever builds your house to state in writing the specifications of your home. 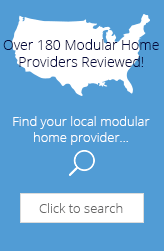 Modular Today is an independent reviewer of modular homes and pre-fabricated buildings. All logos, trademarks and brand names that appear on ModularToday.com are the exclusive property of their respective owners and are not property of Modular Today. Our modular homes information is free and unbiased.